If you look on the inside or outside of any industrial facility, you will likely see a complex system of piping that seems to be running all over the place. Have you ever wondered what those pipes are actually for? 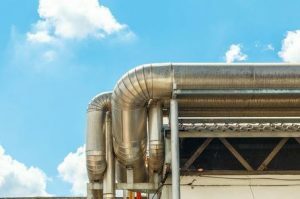 It varies, depending upon the specific type of facility you’re at, but in general, the pipes—which are commonly called process piping—carry industrial gases, fuel, and even water throughout a facility as safely as possible. Safety is obviously of the utmost concern at industrial facilities, so it’s important for the right process piping to be installed and used. Process piping can be made out of many different types of materials, including steel, copper, cast iron, and more. There are some instances in which specialty metals are utilized due to the aggressive environment in an industrial facility. Nevertheless, regardless of which kind of process piping is installed, welding and soldering must be done on the pipelines to prevent any problems with it. Strict regulations must also be followed when installing new process piping. There are many different safety protocols put into place when process piping is put into an industrial facility. There are valves and shut offs that must be strategically placed to release pressure and close off pipes in the event of an emergency. This valves and shut offs can also be used to isolate leaks so that process piping can be fixed before it’s put back into service. Process piping needs to be maintained regularly, too, since it’s usually used to carry fluids that could potentially cause environmental issues, fires, and more if they were ever able to escape the pipes. Process piping installations should only be done by professionals. R.G. Smith Company has specialists who can install process piping in your facility. Contact us today to hear about our process piping services. Thinking of Converting to Natural Gas? We Can Help! Piping Project? Let Us Handle It!